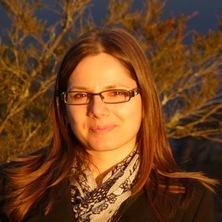 Milena Ivanova completed her MA (2007) in the HPS department at the University of Athens, and PhD in Philosophy (2013) at the University of Bristol. Before becoming a postdoctoral fellow in the MCMP, she lectured philosophy of science in the HPS department at the University of Sydney and was a visiting fellow at the University of Queensland. The nature of scientific principles, the problem of theory change and its rationality, and on the aesthetics of science. Did Perrin’s experiments convert Poincaré to scientific realism? Ivanova, Milena (2015). Poincaré’s Aesthetics of Science. In: The 89th Joint Session of the Aristotelian Society and the Mind, University of Warwick, (). 10-12 July 2015. Ivanova, Milena (2015). Poincaré’s Aesthetics of Science. In: 15th Congress of Logic, Methodology and Philosophy of Science, CLMPS 2015, University of Helsinki, (). 3-8 August 2015.